We’re excited to announce the release of Stakeholder Health: Insights from New Systems of Health, a rich and detailed review of best practices for improving population health and building clinical and community partnerships. Marice Ashe, ChangeLab Solutions’ founder and CEO, contributed a chapter that takes a comprehensive, “systems thinking” approach to defining the social determinants of health. We’re honored to have partnered with Stakeholder Health and the faith community in creating this important book. If you live or work in the San Francisco Bay Area, join us for the Oakland Stakeholder Health book release reception! Hear the authors discuss ideas from their chapters, and receive a free copy of the book. RSVP today to celebrate the contributors and their work! RSVP to reserve your spot. We look forward to seeing you there. ChangeLab Solutions celebrates a landmark decision in Philadelphia today to add a 1.5 cent-per-ounce tax on the distribution of sugary drinks and diet drinks in the city. Philadelphia is the second city in the nation to pass a tax of this kind. It follows in the footsteps of several communities around the world, including Berkeley, California, where voters approved the first penny-per-ounce general tax on sugary drinks last November. The Philadelphia City Council approved Mayor Jim Kenney’s tax proposal in spite of the opposition’s exorbitant spending to defeat it. The tax-generated revenue will be used to fund important local initiatives, including the expansion of pre-kindergarten and the improvement of parks, recreation centers, and libraries. Sugary drinks are known to be the largest single contributor to added calories in American diets, and research continues to link sugary drink consumption to obesity and chronic disease. Emerging science suggests artificially sweetened, calorie-free drinks are also unhealthy. Many communities have considered imposing a tax on products such as soda and other sugary drinks to make those beverages less appealing to consumers and provide a dedicated source of revenue for public health programs. ChangeLab Solutions has developed numerous resources for communities interested in addressing sugary drinks. The Model California Ordinance Imposing a Business License Tax on Sales of Sugar-Sweetened Beverages is for public health advocates who would like to propose a local sugary drink tax. The Model Local Resolution Supporting a Statewide Excise Tax or Regulatory Fee on SSBs and the Sugar-Sweetened Beverages Playbook are also valuable resources for policymakers and advocates. ChangeLab Solutions is pleased to announce a partnership with Trinity Health as the system embarks on a new initiative targeting chronic disease in the communities they serve. In February, Trinity Health, a leading Catholic health system with a presence in 22 states, announced programs that will result in the investment of about $80 million in grants, loans, community match dollars and services for six communities served by Trinity Health ministries over the next five years, and ChangeLab Solutions has been named a collaborating partner. Partners in the initiative will work hand in hand with the six communities to create more opportunities for health in underserved neighborhoods, and lower healthcare costs. Efforts will be specifically focused on many of the root causes of poor health and on tobacco control and obesity prevention. ChangeLab Solutions will provide technical assistance to grantees, and will advise on related projects. ChangeLab Solutions creates innovative laws and policies to ensure everyday health for all, whether that’s providing access to affordable, healthy food and beverages, creating safe opportunities for physical activity, or ensuring the freedom to enjoy smoke free air and clean water. 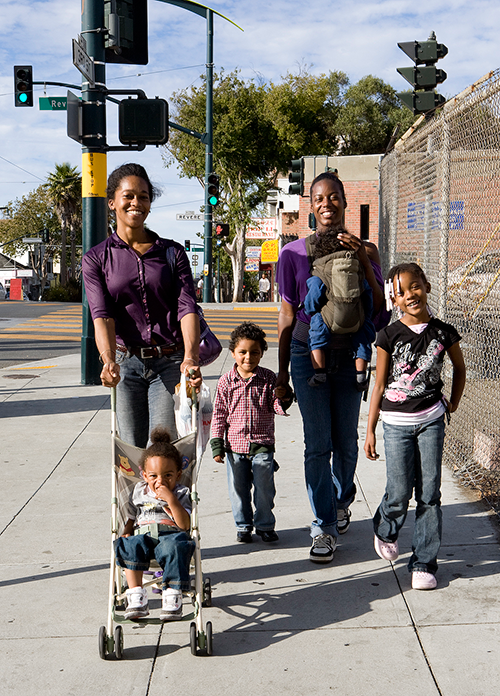 Our solutions address all aspects of a just, vital and thriving community, like food, housing, child care, schools, transportation, public safety, jobs, and the environment. Trinity Health is one of the largest multi-institutional Catholic health care delivery systems in the nation. It serves people and communities in 21 states with 92 hospitals, 120 continuing care locations — including home care, hospice, PACE and senior living facilities — that provide nearly 2.5 million visits annually. Based in Livonia, Mich., and with annual operating revenues of $15.9 billion and assets of $23.4 billion, the organization returns about $1 billion to its communities annually in the form of charity care and other community benefit programs. Trinity Health employs about 95,000 full-time employees, including 3,900 employed physicians. Committed to those who are poor and underserved in its communities, Trinity Health is known for its focus on the country's aging population. As a single, unified ministry, the organization is the innovator of Senior Emergency Departments, the largest not-for-profit provider of home health care services — ranked by number of visits — in the nation, as well as the nation’s leading provider of PACE (Program of All Inclusive Care for the Elderly) based on the number of available programs. For more information, visit www.trinity-health.org. You can also follow @TrinityHealthMI on Twitter. ChangeLab Solutions is celebrating a recent court decision in New York City allowing city officials to enforce a rule that will help consumers use menus to identify food items with excess sodium. The rule requires chain restaurants to put a picture of a salt shaker next to menu items containing more than 2,300 milligrams of sodium—the maximum recommended daily amount. Restaurants must also post a warning explaining what the symbol means and alerting diners to the negative health effects of consuming excess sodium. Educating people about the salt in the foods they eat can help them make informed, and perhaps healthier, decisions. The city’s Board of Health adopted the sodium rule in 2015. When the National Restaurant Association filed a legal challenge earlier this year, ChangeLab Solutions, the American Heart Association, and our partners came out in support of the rule. In an amicus brief, we explained how consumption of excess sodium can lead to high blood pressure, a leading risk factor for heart disease and stroke. The brief also explained that some city residents, such as African Americans, face a heightened risk for these diseases. The Appellate Division’s decision yesterday lifted an interim stay that had prohibited the city from moving forward with enforcement. The city will start enforcing the rule in early June. For more information, see our fact sheets and webinars on providing lower-sodium foods. ChangeLab Solutions is celebrating a decision in San Francisco today supporting the addition of safety warnings to sugary drink advertisements. Judge Edward Chen denied the American Beverage Association’s request for an order blocking the city’s soda warnings law. Judge Chen determined a label on advertisements alerting consumers to the health risks associated with consuming sugary drinks is permissible under the First Amendment. Prior to the ruling, ChangeLab Solutions, along with the American Heart Association, the California Center for Public Health Advocacy, and others, came out in support of the proposed warning label. In an amicus brief provided to Judge Chen, we offered invaluable evidence of the negative health effects of sugary drink consumption and supported the city’s legal arguments. Requiring a safety warning on advertising or packaging for sugary drinks is one way to educate consumers and help them make informed choices. Warning labels on sugary drinks could discourage parents from purchasing sugary drinks for their kids, according to a study published earlier this year in Pediatrics. And according to a Field Research poll, 78 percent of California voters support a warning label on sugary drinks. ChangeLab Solutions has developed Model Legislation Requiring a Safety Warning for Sugar-Sweetened Beverages for states that want to implement a policy requiring a safety warning on sugary drink containers and packaging. Contact us for more information about using safety warnings to help consumers make informed choices.